In honor of Iced Tea Day, we are having a tea party! Or, in the case of my house, we have to call it The Best Tea Party Ever! 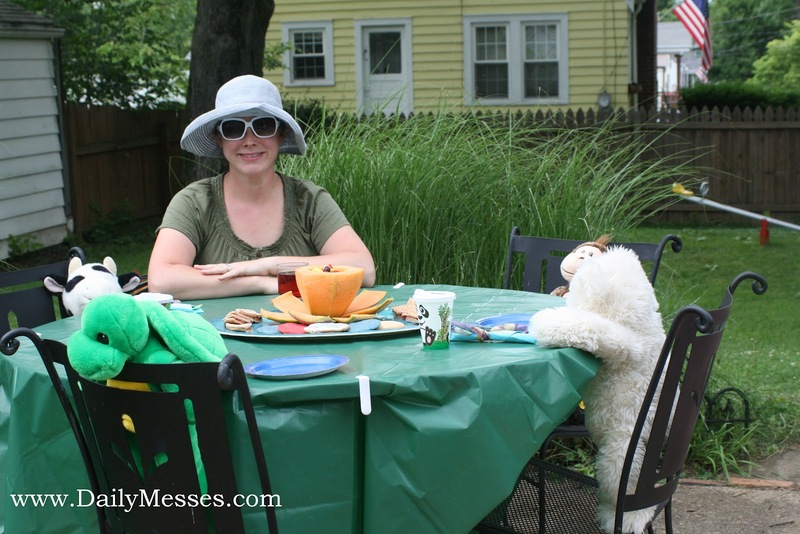 Apparently, only girls have tea parties. Boys have to have a much flashier name. 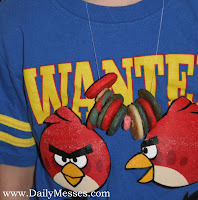 ;) This morning, we made our own cookie necklaces to wear to the Tea Party (and of course to eat after lunch). 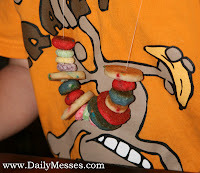 Instead of cookies, you could use small pretzel rings or twists, Fruit Loops or other round cereals, or small store bought cookies with a hole in the middle. Sugar cookie dough (either your own recipe or a store bought refrigerated cookie dough). If you want to make colored "beads", separate the dough into different bowls. 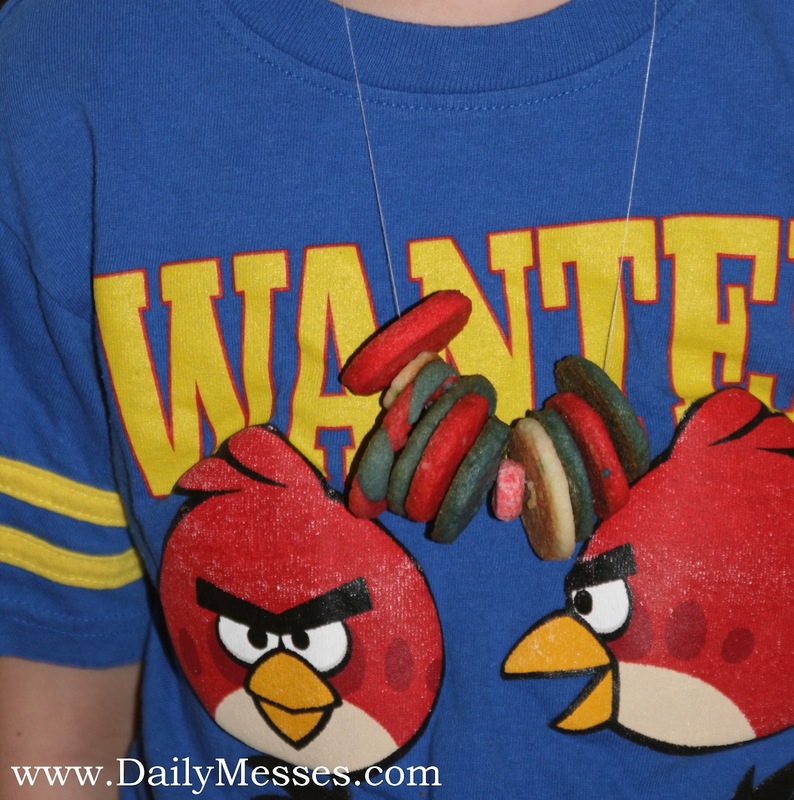 Add food coloring and mix together. Make small cookies. We rolled some dough out and used cookie cutters. For other "beads" we just rolled small balls. Bake the cookies. Because the cookies are small, they should only take a couple minutes to cook. so keep an eye on them to make sure they don't burn! 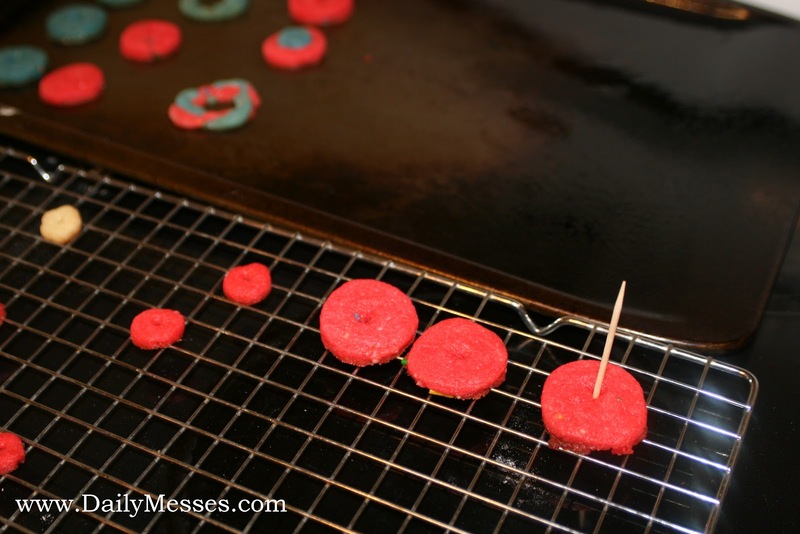 After the cookies are baked, but still warm, use a toothpick to make holes in the center of each cookie. Once cooled, you can string the cookies up to make a necklace or bracelet. 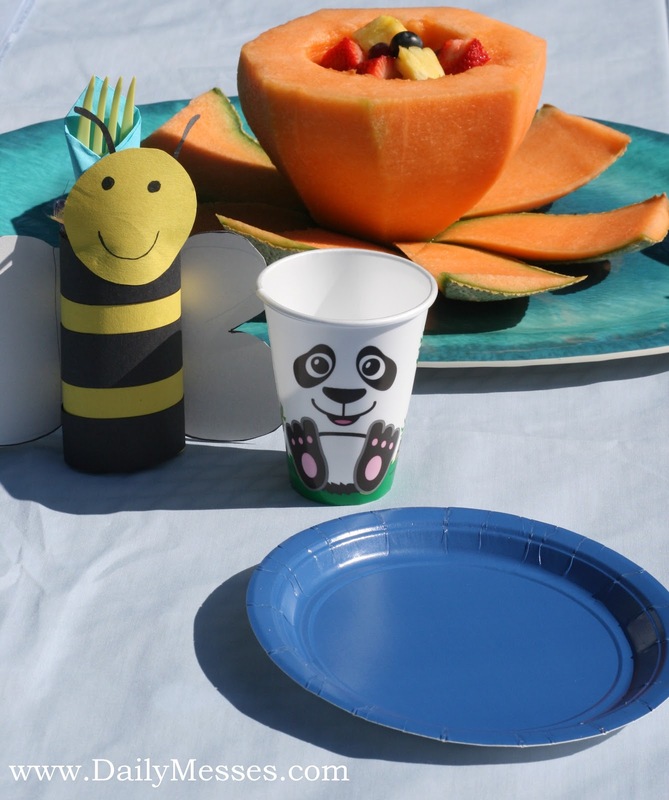 Other Ideas: If you made the Bee and Flower Toilet Paper crafts, you could use them as napkin and silverware holders. If I had girls, I would totally get this tea set! 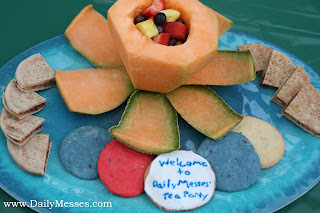 Oh well, at least I had one tea party.